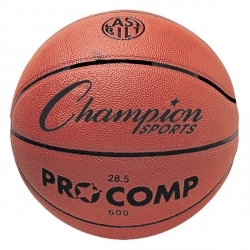 Play like the pros with this intermediate size Champion Sports Composite Game Basketball that meets NFHS & NCAA specifications. 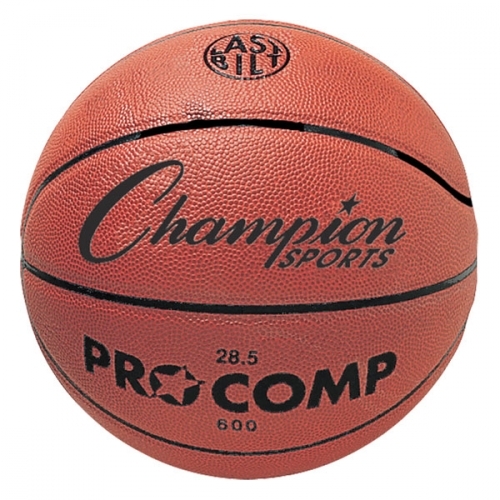 This superior ball features a super tacky Clarino® composite cover over unique cushion technology that helps absorb moisture and provides superior ball handling. Perfectly balanced for true bounce and flight, this ball has a 2-ply butyl bladder that ensures you spend more time out on the court and less time with the air pump.